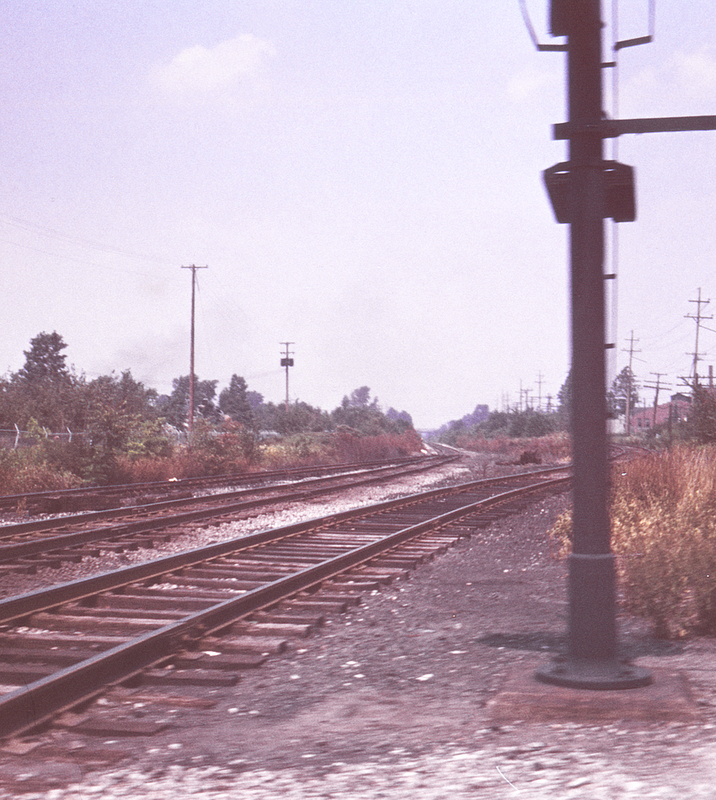 This view of the Pennsylvania's Erie & Ashtabula branch was probably taken from Griswold Street NE in North Warren, looking north. If so, the bridge in the distance is North Park Avenue; the crossing of the Erie's freight bypass (former Atlantic & Great Western mainline) is just behind the camera. The track to the right is an industrial spur.